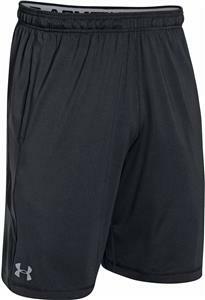 Under Armour Adult Pocketed Raid Loose Fit 10" Shorts. UPF 30+ protects your skin from the sun's harmful rays. 4-way stretch fabrication allows greater mobility & maintains shape. Moisture Transport System wicks sweat away from the body. Top Selling Item. - Lightweight HeatGear® fabric is ultra-soft & smooth for extreme comfort. - UPF 30+ protects your skin from the sun's harmful rays. - 4-way stretch fabrication allows greater mobility & maintains shape. - Moisture Transport System wicks sweat away from the body. - Exposed branded elastic waistband with internal drawcord. WAIST 28-29" 30-32" 34-36" 38-40" 42-44" 46-48"
INSEAM 10" 10" 10" 10" 10" 10"
Excellent product, well made and priced fairly. Shorts came in as expected. Great price and great quality!